This printable Holiday Turkey is perfect for the last few days before Thanksgiving. 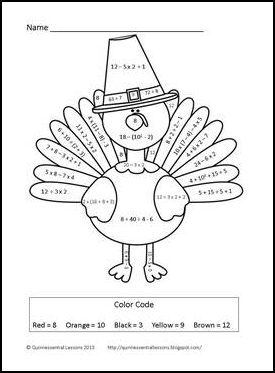 The color by numbers activity is aligned with the Common Core Standards (5.OA.1). Students solve each of the numerical expressions using order of operations. 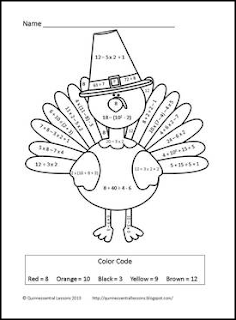 Then using the color code on the page, students color each sections of the turkey. Any questions? Do not hesitate to ask.